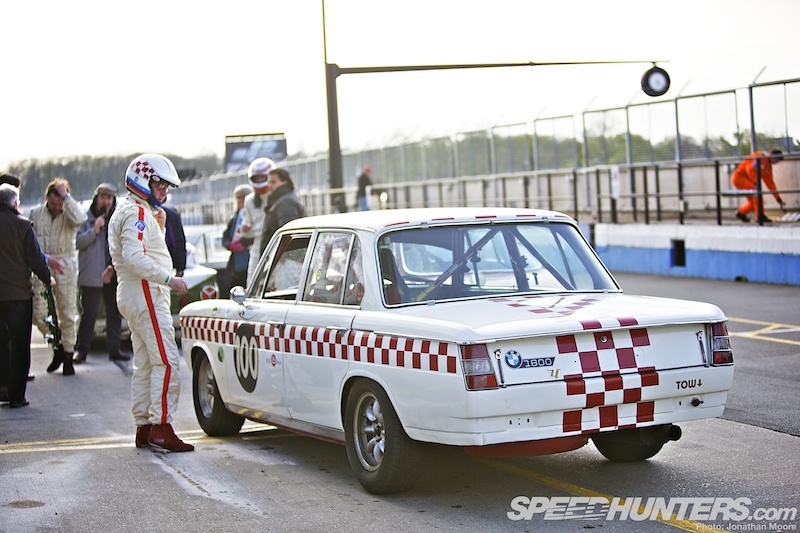 One of the many high points of 2012 Donington HIstoric Festival was the race for Pre-’66 Under 2-Litre Touring Cars: a class which always feature packed grids, a riot of tyre smoke and three-wheeling madness from start to finish. 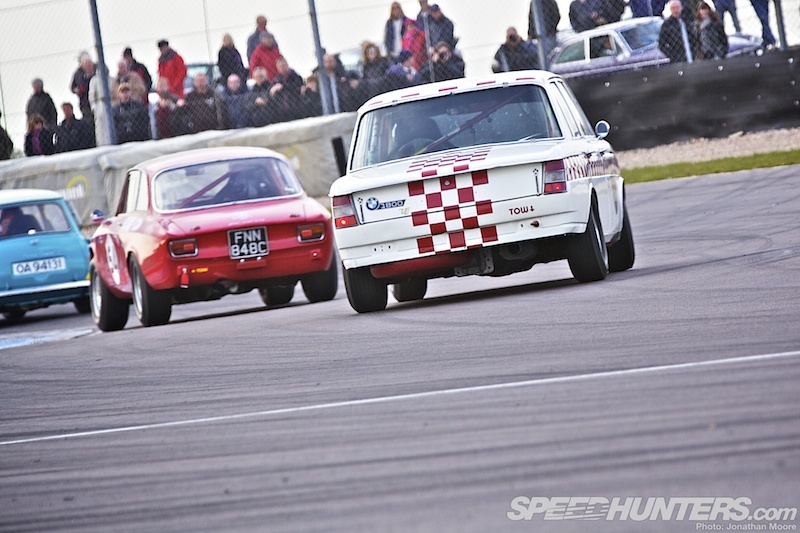 Up front there’s typically a battle between Alfa Romeo GTAs, Lotus Cortinas – and BMW 1800s. 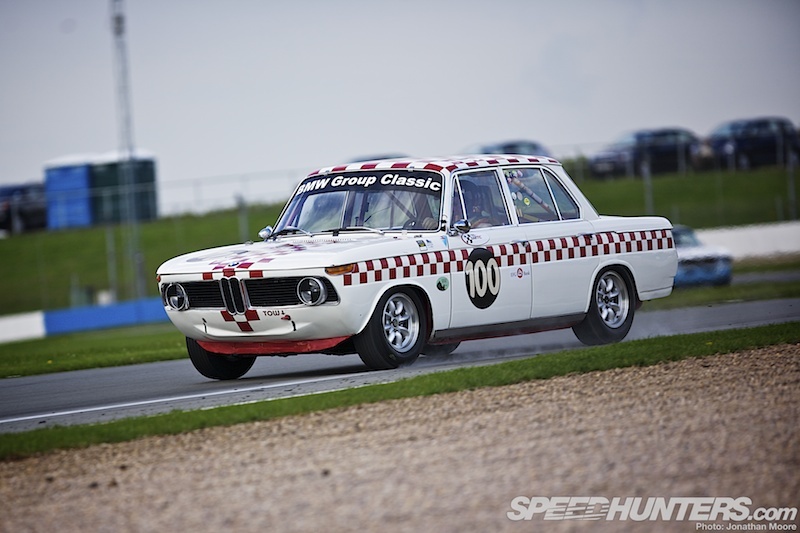 The BMW 1800 Turismo Internazionale SonderAusführung (‘Special Equipment’) was the fastest of the all the models in the BMW New Class: 200 homologation specials were constructed in 1965 to allow the works team to compete in the European Championship. 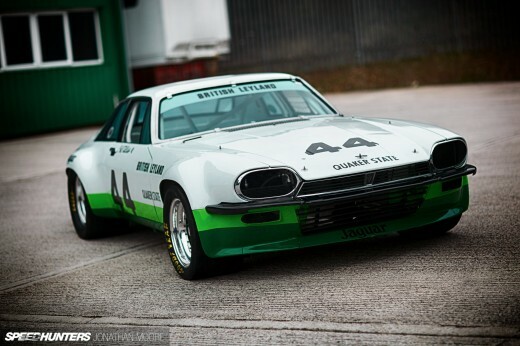 This particular chequer-liveried 1800 has been long campaigned by Jackie Oliver and Richard Shaw: in their hands it has scored a long list of poles and wins – they were victorious in the St Mary’s Trophy race at the Goodwood Revival in 2011 and finished third at Donington. Shaw used to run a Formula Renault single-seater team in the UK and now heads up Laranca Engineering, a firm specialising in building and maintaining classic BMW touring cars – hence a trio of 1800s being run out of the Laranca support trucks. Jackie Oliver is one of Britain’s enduring racing drivers: he raced in Formula 1 during the late ’60s, won Le Mans in a JWA Gulf GT40 in 1969, founded the Arrows F1 team and has been racing and winning in historics since retiring from contemporary motorsport. 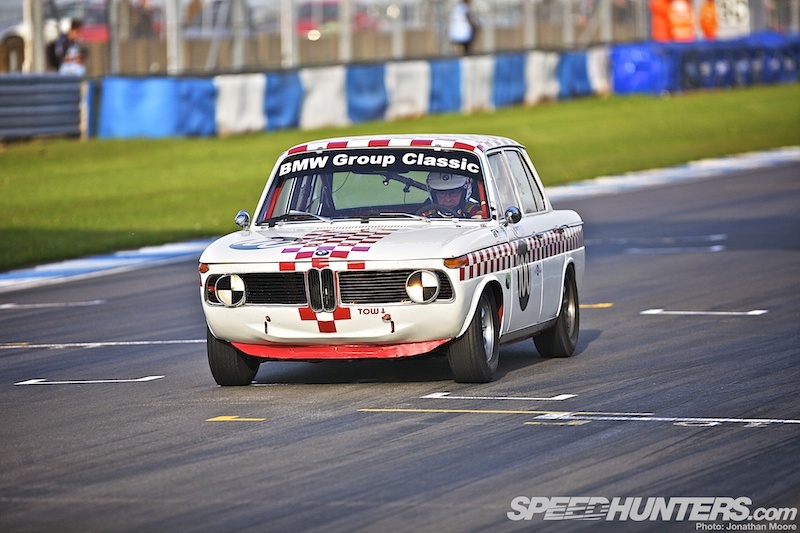 BMW Group Classic are responsible for the maintenance of old BMWs around the world, and keep a huge stock of original and remanufactured parts to keep old Bimmers on the road and racing round tracks – Laranca supplement that support with their own comprehensive manufacturing facilities. The 1800 TiSA packed a compact 130hp 4-cylinder with a reworked head and new camshaft, breathing via dual side-draft Weber 45DCOEs. 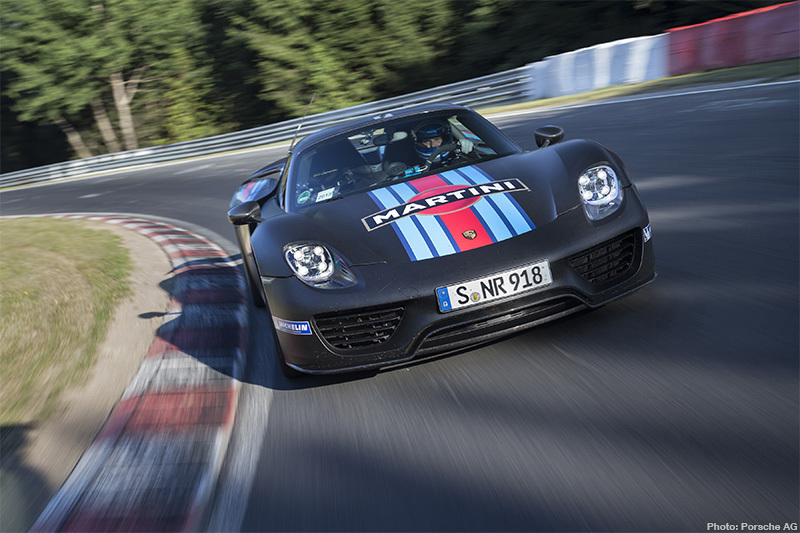 This gave a 180kph top speed, which was very impressive for the time – the power to weight ratio was effectively doubled from the previous 1500 model. 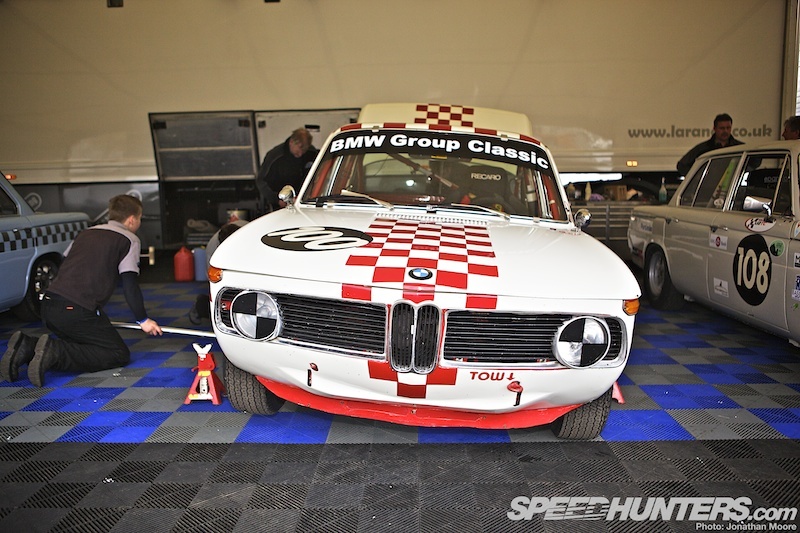 Current FIA-approved historic championship have regulations that are looser than in period, which has allowed for some small but important modifications to these cars, particularly in camshaft profile (allowing for modest power hikes) and suspension components which have tightened up handling – the BMWs are noticeably more planted through corners than the competition. Drive for the 1800 was through a Getrag five-speed, close-ratio gearbox that gave the car quite a punch out of corners, making up for the relatively low horsepower. This would seem to explain all the squirming and opposite-lock on corner exit, even if the entry looks more sorted than the Cortinas – which look like they’re braking on ice! Great looking cars. Anyway, more interesting than many cars today.